Market returns due to damages during transit has been a major worry for many bakery manufacturers .Many methods like putting products into PVC trays or inserting separators , dispensers etc has been adopted by manufacturers . Linpac has designed a new PET transport to tackle this problem . 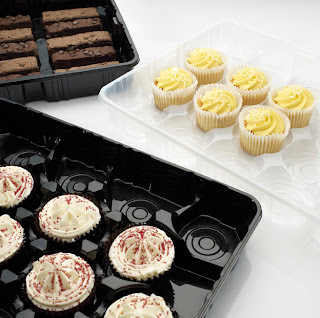 * The stylish trays can be used as point-of-sale display units, as well as transport trays.